With only 3 weeks remaining until Christmas time is running out to finish your Christmas shopping and make sure everything is ready for your festive celebrations. If you are looking for new Christmas gift ideas or not sure what to send your loved ones, why not view out select range of Christmas Flowers that contain a colourful selection of high quality flowers to add that festive cheer to your home. We continue our festive floral countdown this week with our beautiful Christmas Joy Bouquet. This eye catching Christmas Joy Bouquet is bursting with a festive mixture of greens and reds for this Christmas season, creating a stunning display to compliment the rest of your home decorations. 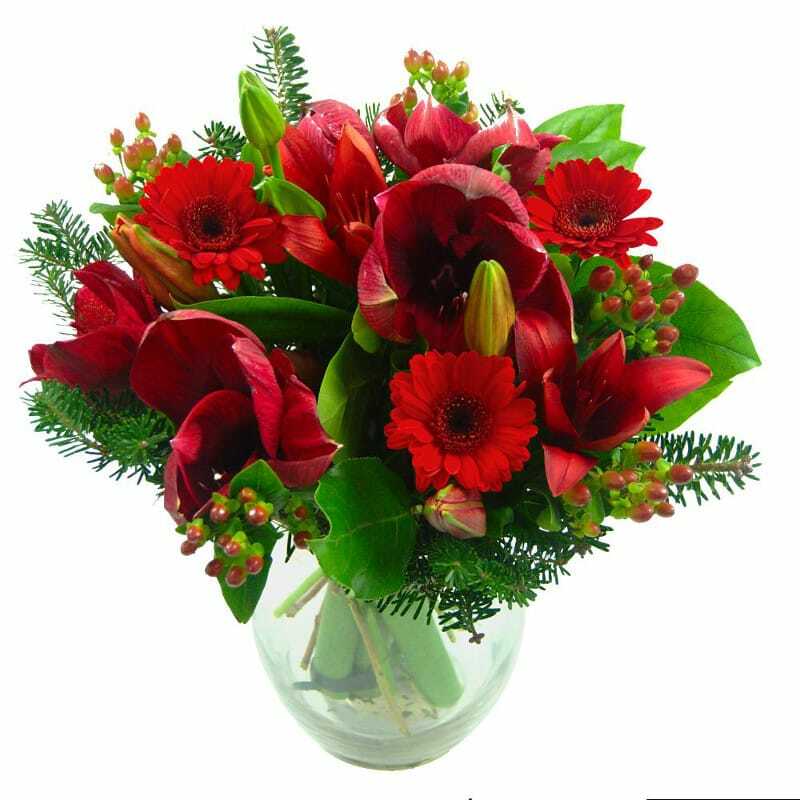 This charming bouquet contains a mixture of red amaryllis , hypericum, germini, Christmas lilies and green foliage that would be an ideal gift for sending to family and friends. This vibrant combination has a lovely fresh scent, and you can also order the flowers with a handwritten card, teddy bear or box of chocolates as a special treat. All of our flowers are available to order with next day delivery included as standard, and the flowers are expertly hand tied and packed by our team of florists to arrive with you in excellent condition. Thanks for sharing this and there are many types of flowers that are used for giving a Christmas gift.